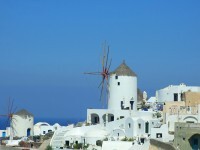 If you want a view that is overlooking the volcano, the best places to go is Oia and Imerovigli. Since car access is restricted to the villages, some of them remains untouched and makes them very attractive if you visit them today. The others to mentioned are Pyrgos, Megalochori and Vothonas where you can view into the traditional architectures of Santorini. With a Caldera View, and what about those with a caldera view which are Fira, Imerovigli, Oia, Firostefani, Akrotiri and Megalochori. If you are looking for beach resorts, you can consider Kamari, Perissa or Perivolos. This is the capital of the Santorini as well as the most important village. It did not used to be its capital as that time it was Pyrgos. The best places that offer a panoramic view is the Mitropolis Square and you can wait for the breathtaking sunset. In front of the metropolitan church of Santorini, it is great even for an afternoon stroll, everything is in proximity. This is a traditional village extended from Fira but it is located on a higher cliff. Its name comes from ‘Vigla’ which means day. You will surely come to see an enormous rock called ‘Skaros’ which was part of the land and had a castle on it in 1800. However, it was totally destroyed during the earthquake of 1956. Hence all the cliff-edge houses were abandoned. 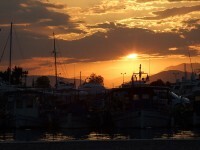 It is a rather quiet village and one of the top destinations in Greece. Catch the Caldera view at sunset, the Agios Gergios Fira view, the Agios Gergios Oia view and the Agio Pneyma is not to be missed. You should check out the small church of Agio Pnevma (Holy Spirit) in front of Skaros as it has an amazing sunset between Thirassia and Oia. The other is the great view of the volcano, Thirassia and Oia, or better known as Kameni. Pronounced as ‘E-ah’, this place has a unique fishbone layout as its main pedestrian street connects it ends across the top of the cliff, with many local branches. It is a dramatic, striking and quieter (than Fira) village. 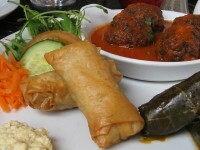 Great opportunities for those of you who likes shopping as there are jewellery boutiques and Greek art galleries around. 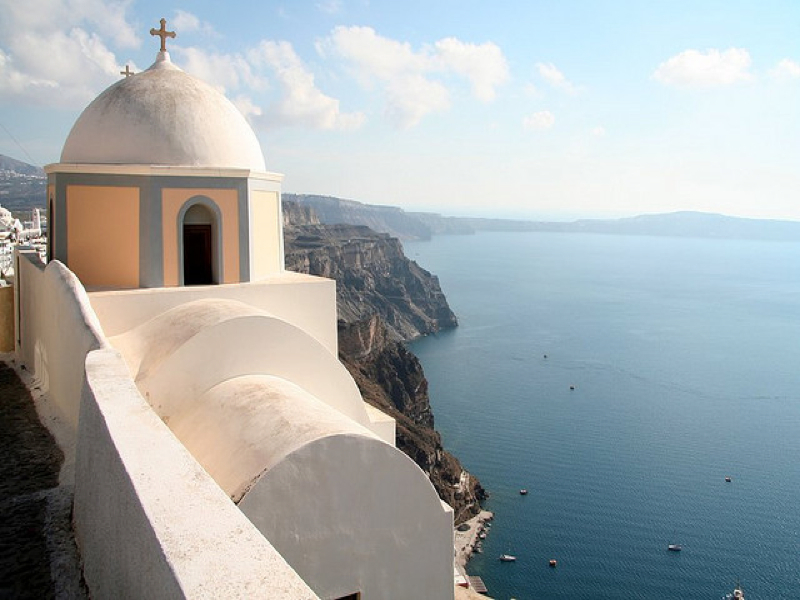 Oia is renowned for its breathtaking sunset and narrow passageways. One of the most famous spot to capture that beautiful sunset is the Kastro walls. Nikolaou Nomikou is the central square that skirts the caldera.